That’s the word from Droid Life, which claims that Verizon Wireless will soon roll out tiered smartphone data plans similar to (but more expensive than) those offered by AT&T. Verizon’s new tiered plans will launch on July 7, according to Droid Life’s sources, and subscribers will get to choose from the following options: 2 GB for $30 a month (the same price as Verizon’s current unlimited 3G data plan), 5 GB for $50 a month, or 10 GB for $80 a month. Those tiered data plans—if they turn out to be real—would be about $5 a month more than AT&T’s menu of data options (which includes a budget 200 MB plan for $15/month, along with 2GB for $25 a month and 4GB for $45/month). The rumored Verizon data plans would be for both 3G and 4G smartphones, according to Droid Life, which adds that anyone subscribed to Verizon’s current (and apparently endangered) unlimited 3G data plan would likely get to keep it under their existing service agreement. 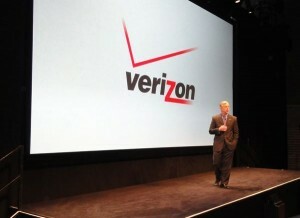 here’s the thing: If you want unlimited 3G data on a new Verizon smartphone, it looks like you’d better get cracking.